Meringue bone palace Halloween cake – moist chocolate cake filled with vanilla meringue buttercream & jam, coated in meringue bones with berry coulis ‘blood’ on the side. 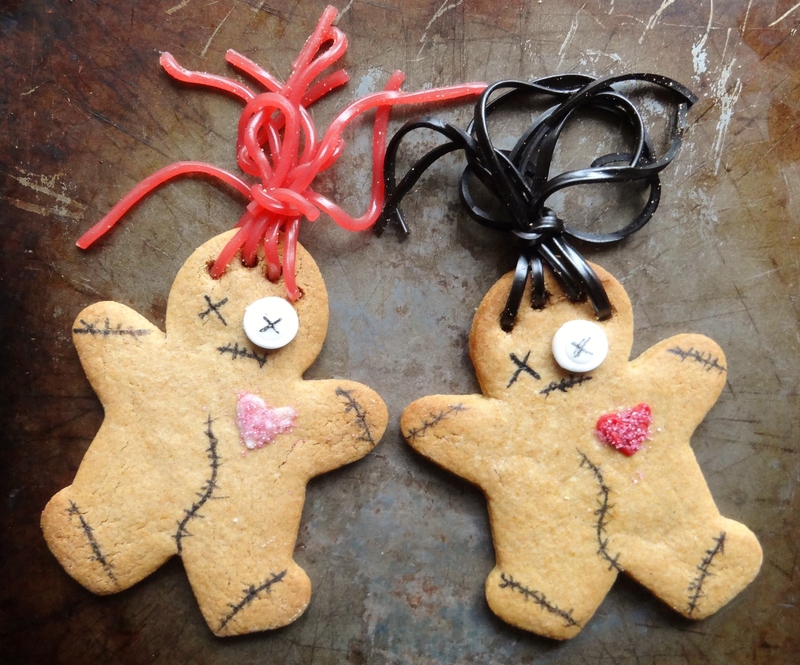 Halloween is the perfect time to have some fun with baking and these gingerdead men are certainly fun. Made from a delicious spiced gingerbread dough and decorated to look like voodoo dolls complete with sweetie pins for stabbing them with, they are a great addition to a Halloween party spread and much enjoyment can be had torturing them with sweetie pins before eating them…. I like Halloween (being a gothess I suppose that’s a given! ), but I prefer the more elegant side as opposed to the gory one – deep colours, vampires, witches etc. 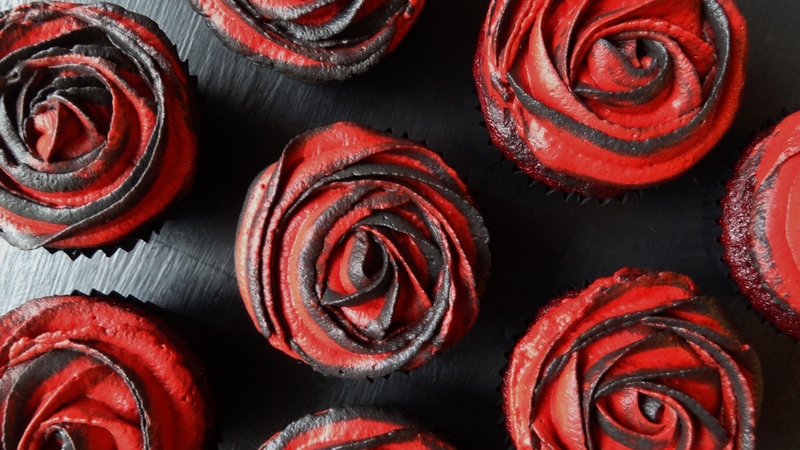 I wanted to bake something that was Halloweeny, but also attractive, so I went for red velvet cupcakes decorated with red and black two-tone roses. Both roses and the colours red and black are very prevalent in gothic imagery. I’d been itching to try this two-tone piping effect for a while now and thought that it would work perfectly with these cupcakes (my piping technique really needs some work though…)….